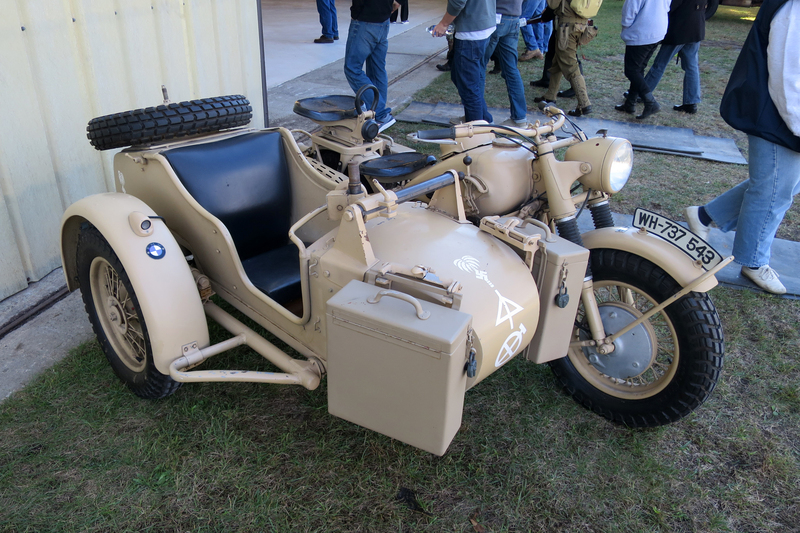 In October 2015, my friend Mark and I went to Stow Massachusetts on a sunny Saturday to watch the Collings Foundation World War 2 re-enactment and walk the grounds and hanger to view all the neat things on site. There are pictures of the WW2 re-enactment on my flickr page, I wanted to post some of the other pictures of the fantastic car collection in the hanger on this site. 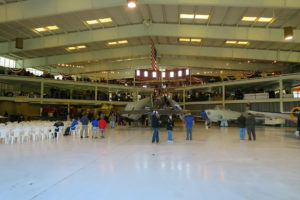 There is a large aircraft hanger with multiple levels that houses some airplanes, tanks, heavy vehicles, and race cars. 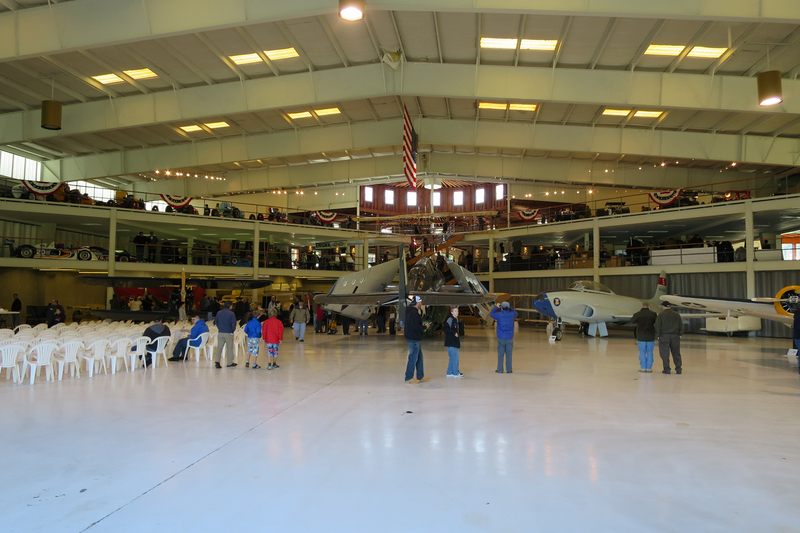 View into the hanger from the front. 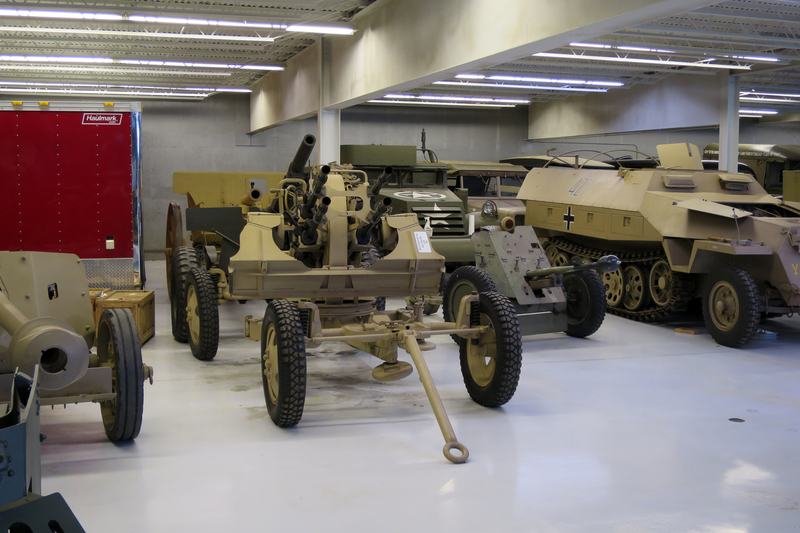 Here are some of the really neat cars that were stored on the upper levels of the hanger. Riley & Scott Mk III / Ford, 1996. 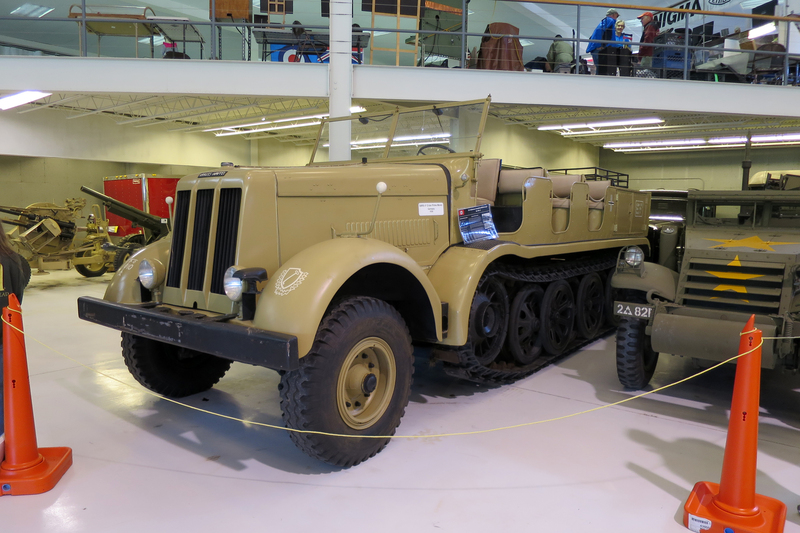 Riley & Scpott’s legacy goes back to the Ford GT MkIV Coyote, so when it came time to produce a new prototype for international sports car racing they were up to the challenge. R&S MkIII’s went on to forge a legacy of winning that is only equaled by the legendary Prosche 962. The Dyson team commissioned R&S to produce 001 in 1994 with a Ford powerplant. The chassis proceeded to win over ten races for the Dyson team including the 1997 Rolex 24 hours of Daytona and runner up in the 12 hours of Sebring and the Prototype championship. 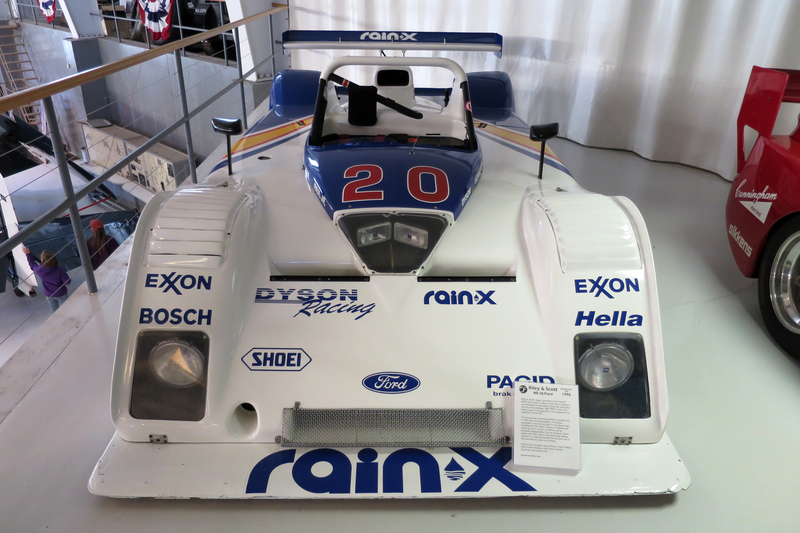 The car remained a front runner until 2001 when it retired after leading Daytona. It is believed that 001 led more laps at Daytona than any other car in history. Drivers have included: James Weaver, Andy Wallace, Elliot Forbes-Robinson, Rob Dyson, Hurley Haywood, and Derrick Bell. 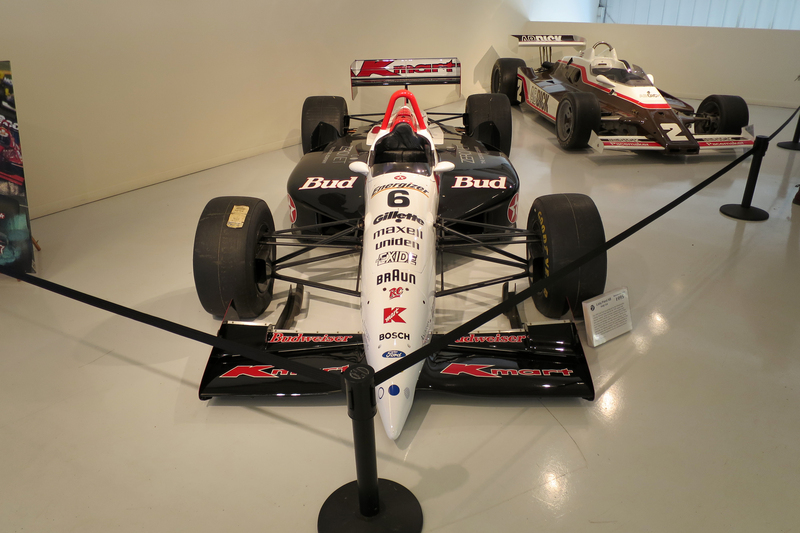 Lola / Ford XB Indy Car 1995. 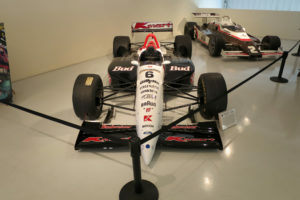 The 1995 Lola Ford was produced for the Championship winning Newman-Haas team for the 1995 season with Michael Andretti. 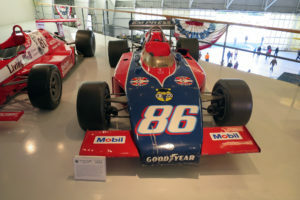 Some of racing’s greatest names have been associated with this car, Paul Newman and Carl Haas as owners and Michael Andretti as the driver. Michael holds more Indycar wins than any other driver in history. At the Toronto Grand Prix he notched up yet another victory in this particular car. Micahel finished 3rd in the Championship in the last season that included the Indy 500 in which he was leading when he dropped out due to a mechanical failure. Gurney Eagle Turbo Offy 1972. One of America’s most famous drivers, Dan Gurney, winner of the 24-Hours of Le Mans and the only American to win a Grand Prix in a car of his own construction took that experience and started Eagle. 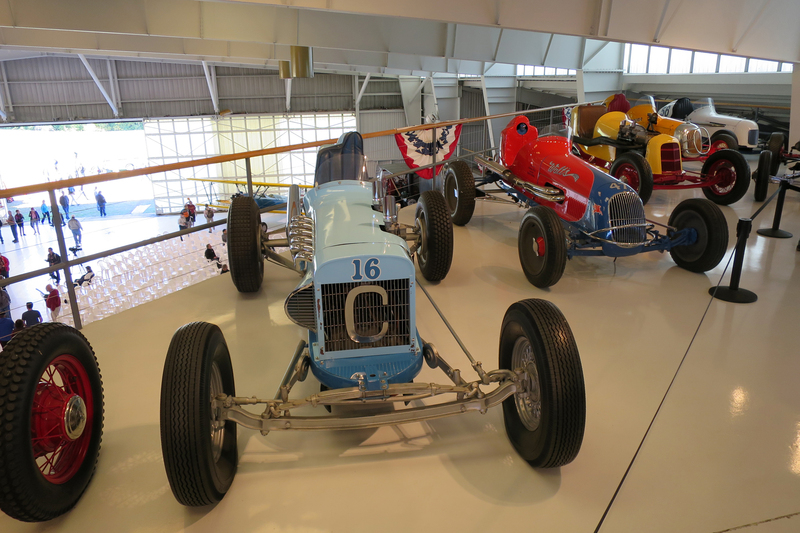 The Gurney Eagle Indy Car ranks amongst the most successful in Brickyard history. 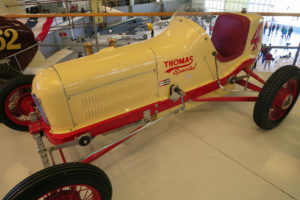 This particular car was sold to the famous Leader Cards Racing Team of A.J. Watson. The car raced at Indianapolis multiple times and in 1980 became the last ever Offenhauser powerd car qualified for the 500-mile race, heralding the end of an era. Powered by a 168 cu. Inch turbocharged Offenhauser engine producing in excess of 800 horsepower. 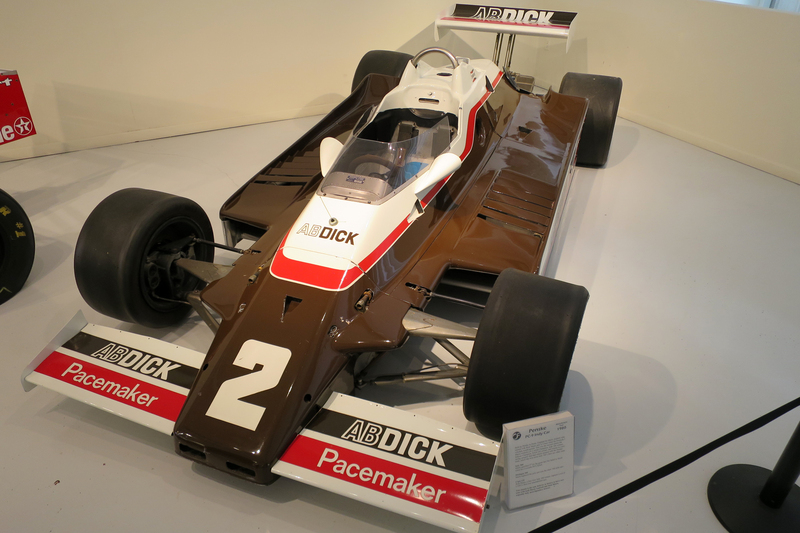 Penske PC-9 Indy Car 1980. 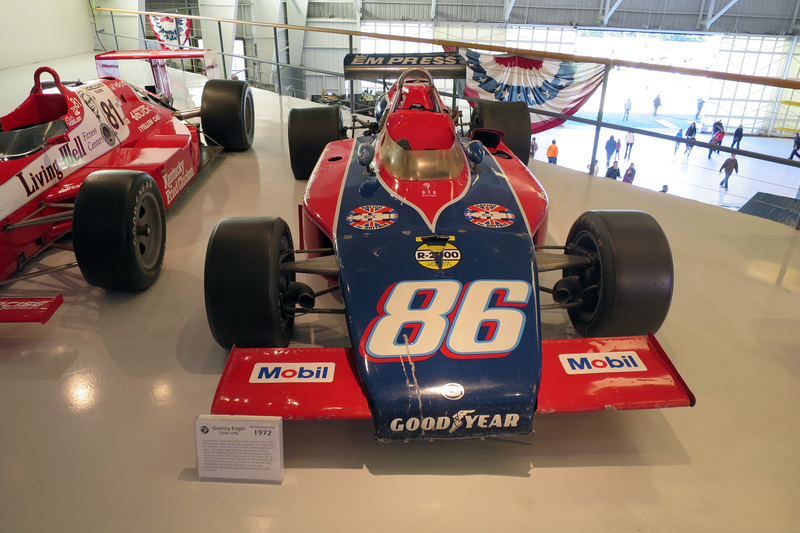 Built by Penske in Poole, England for Mario Andretti who teamed with Rick Mears and Al Unser when his Formula 1 schedule would permit. 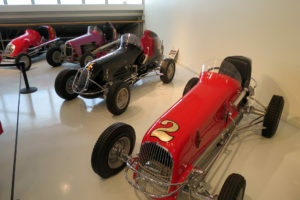 This was the second season that Mario Andretti a F-1 world champion, Indy 500 winner, Indycar Champion, NASCAR winner, and winner in every racing category that had wheels teamed with the Penske team, which has won more Indy 500’s than any other team. Indy 500: Mario qualified 2nd fot the great race but failed to finish when his Cosworth DFX failed. Michigan 500 – Mario captured the pole and won the other 500 mile race. Copa 125 Rick Mears, a four time Indy 500 winner, captures a win at CART’s first ever international race. 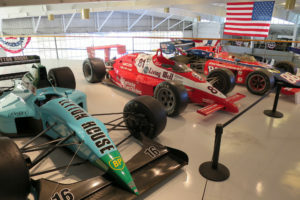 This chassis is the only Indycar in history to have race wins with both Mario Andretti and Rick Mears, arguably Indy’s most legendary drivers. More of the cars in the museum. Over all a pretty neat place to visit. Next Next post: That time we had a 404 page.